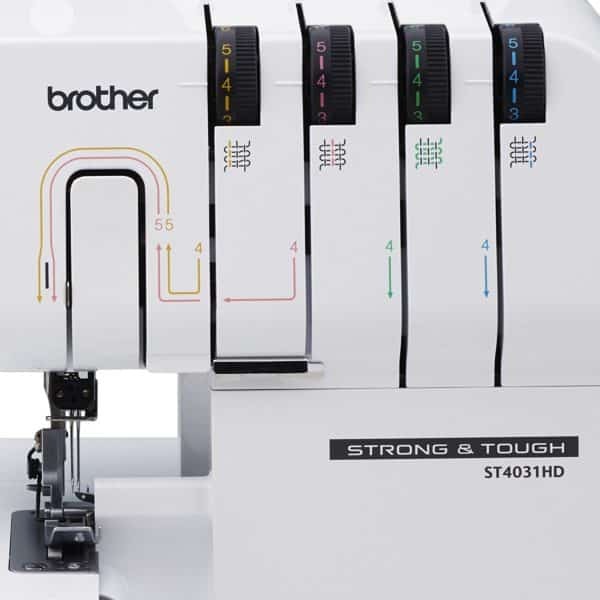 Get professional results on everything from heavy duty fabrics to lightweight knits with the Strong & Tough Serger from Brother. 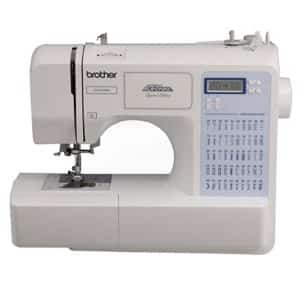 Its industrial-grade blade is manufactured of carbon steel that meets rigorous G3 standards, and as a result can cut evenly and smoothly, even through multiple layers of denim. 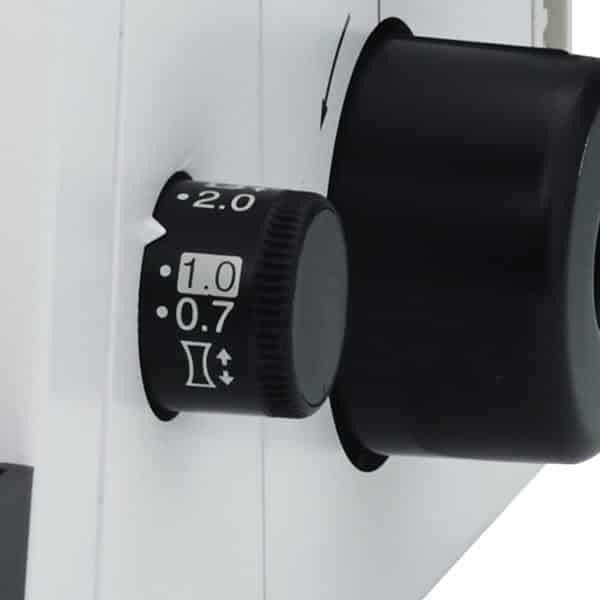 The heavy duty metal frame provides stability while serging at high speeds, and durability for many years of extended use. 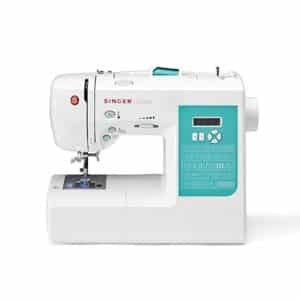 The ST4031HD gives you the creative freedom to serge layers of denim, difficult knits and other tough projects with ease. Serge with confidence on multiple layers of denim, layered knits and heavy duty fabrics. 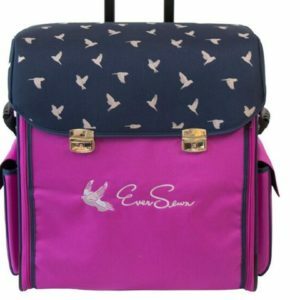 Professionally cut and finish in one easy step on a wide range of projects. The Strong & Tough blade is manufactured of carbon steel that meets industrial-grade, G3 standards. This blade material is known for its use in industrial sergers, and its ability to cut a smooth, clean edge through heavy fabrics. 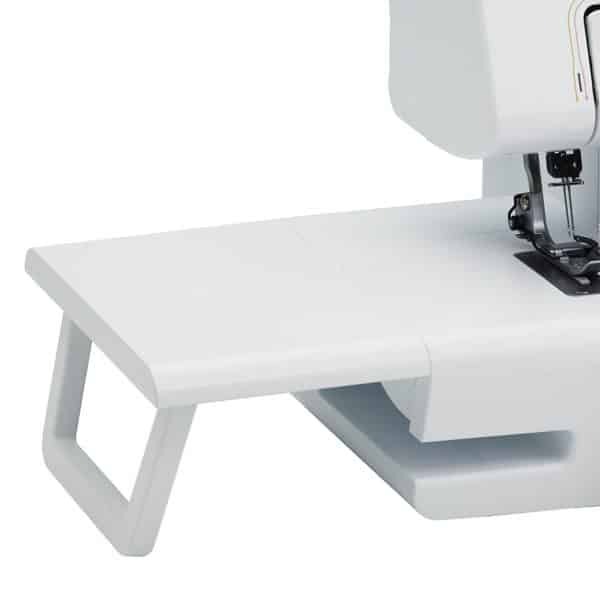 The strong interior metal frame helps ensure your serger remains stable on your work surface, even at very high speeds. 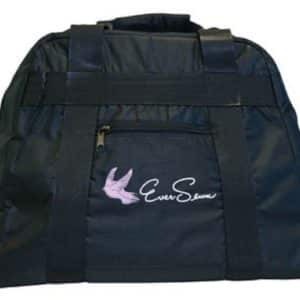 This heavy duty frame is built for durability and longevity, for many years of extended use. 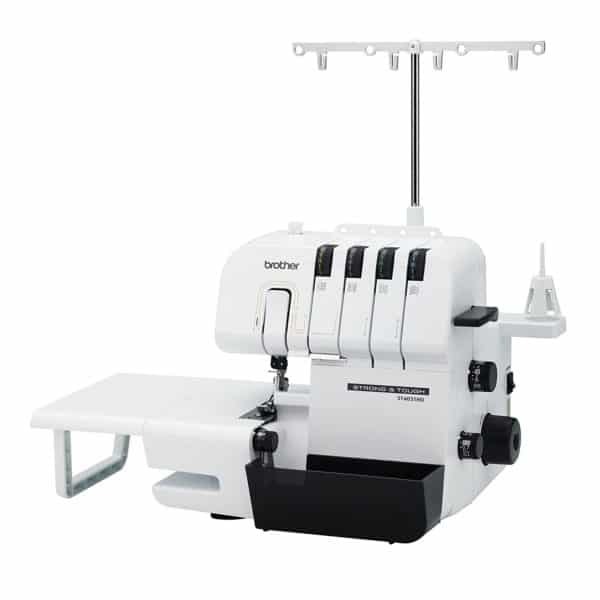 The wide, detachable table keeps heavy fabrics on a level surface with the needle, helping to prevent excess pulling on the needle and thread, for better finishing. 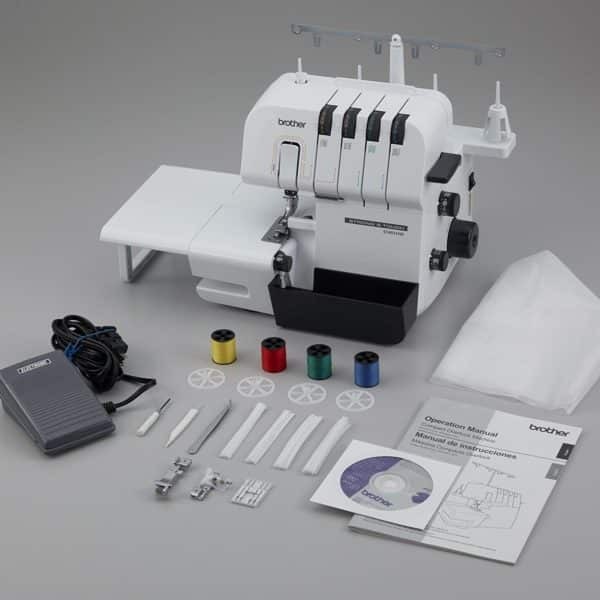 Get more serging done, faster, with the ability to sew up to 1,300 stitches per minute. 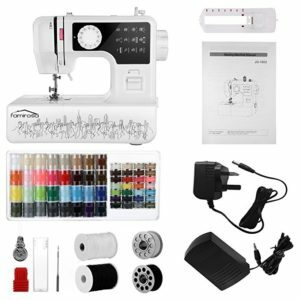 Simply using less pressure on the foot controller allows you to sew slower, to suit your comfort level and project. 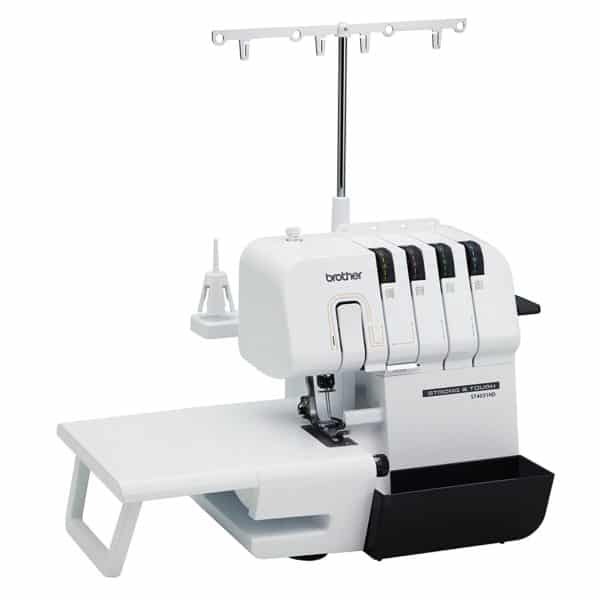 The Strong & Tough Serger thread stand is made of solid metal, for enhanced durability and longevity. The thread stand helps ensure that the thread feeds up and off your thread spools correctly. 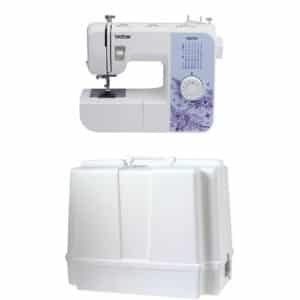 This serger works with either 3 or 4 threads, for added flexibility. For example, 4 threads are useful for a strong overlock seam on wovens, and 3 threads for overlock stitching on knits or suits. 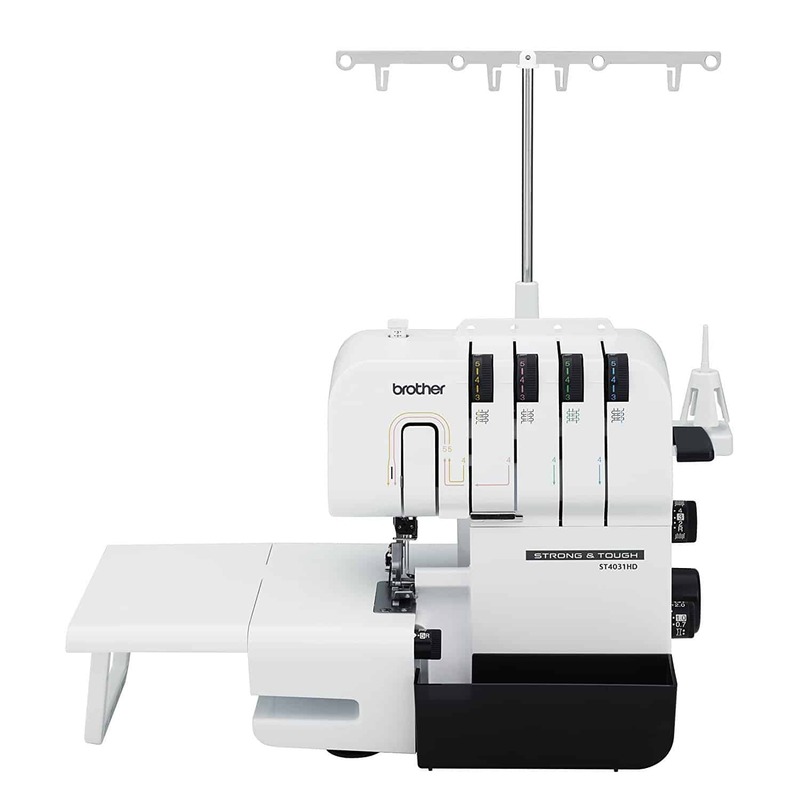 The color-coded guides printed on the machine show you exactly where to place each thread, for trouble-free threading. No need to pull out the manual when you want to thread your machine! 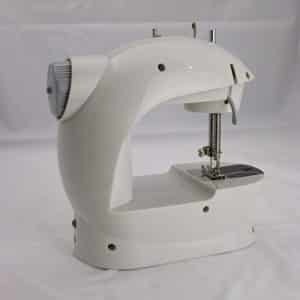 The trim trap collects the fabric trim as the serger knife trims and serges your project, and can be easily detached from the serger. The differential feed controls the movement of the feed dogs that move the fabric through the machine. 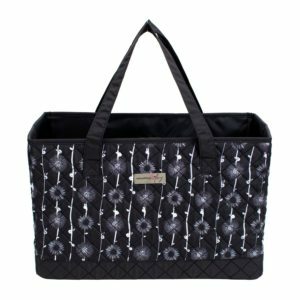 The ability to adjust the feed dogs helps provide smooth, even stitching and versatility. Simply turn the stitch width adjustment dial to change your stitch width between 5.0mm (3/16 inch) and 7.0mm (9/32 inch). Adjusting the stitch width allows you to create serged seam finishes that lie flat. 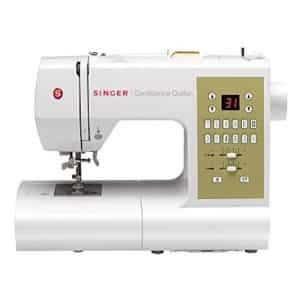 The included Standard serging foot is a great general purpose foot for a wide range of everyday serging projects such as seams and rolled hems. 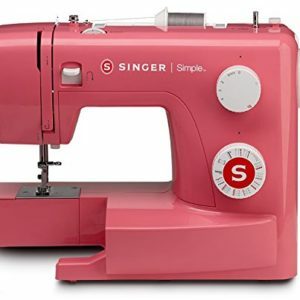 Your fabric edge will be sewn and trimmed in one easy step. 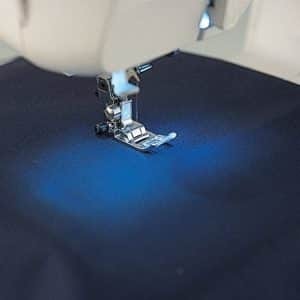 Create blind hems on a variety of fabrics. 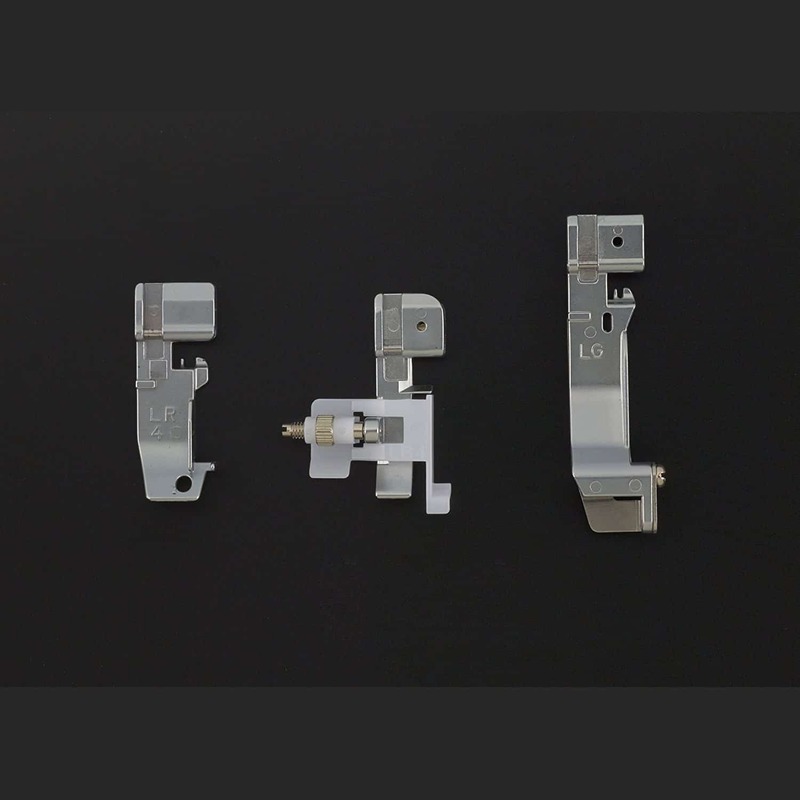 This foot is perfect for edge stitching, attaching lace or fabric, and edge joining. 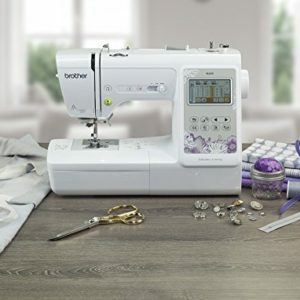 An adjustable, open-toed guide makes this a great foot for both embellishing and utility stitching. 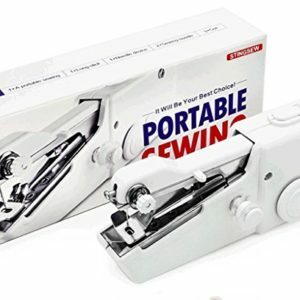 Easy gathering, connecting fabric and edge finishing in one step. 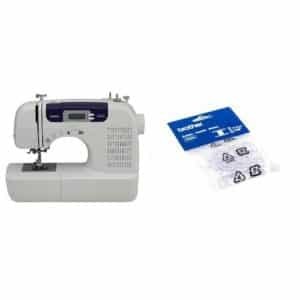 A channel on the foot secures fabric, helping to eliminate the need for pins as you create a serged edge and gather single or double layers of fabric. 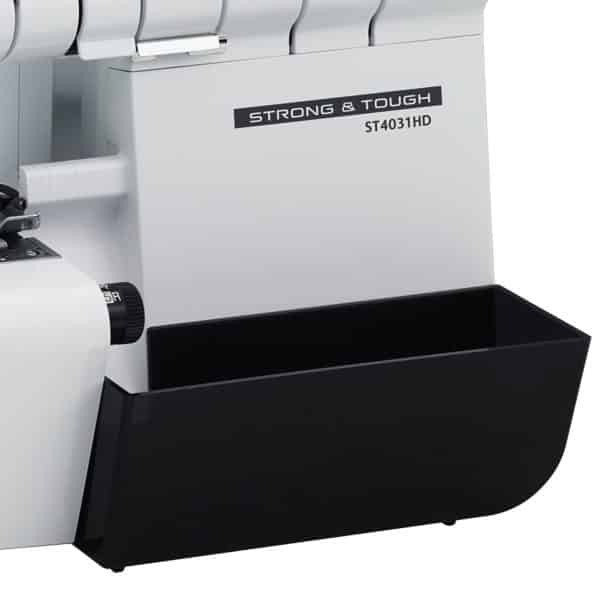 – ST4031HD Strong & Tough Serger. – 3 Feet: Standard, blind stitch and gathering feet. – 4 Mini thread spools. – 4 Spool caps and 4 Thread nets.